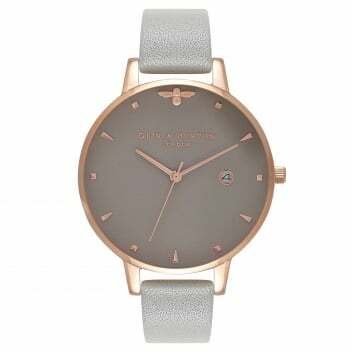 We love this beautiful watch from Olivia Burton. The iconic bee has been shrunk to a miniature size, and cast with rose gold plate. She sits elegantly poised in the twelve position on the dial, daintily marking the hour. We love the combination of grey and rose gold, which is subtle, sophisticated, and stylish.